Your help is needed to raise the funds and labor needed to make an Oakland dog park a reality at long last! 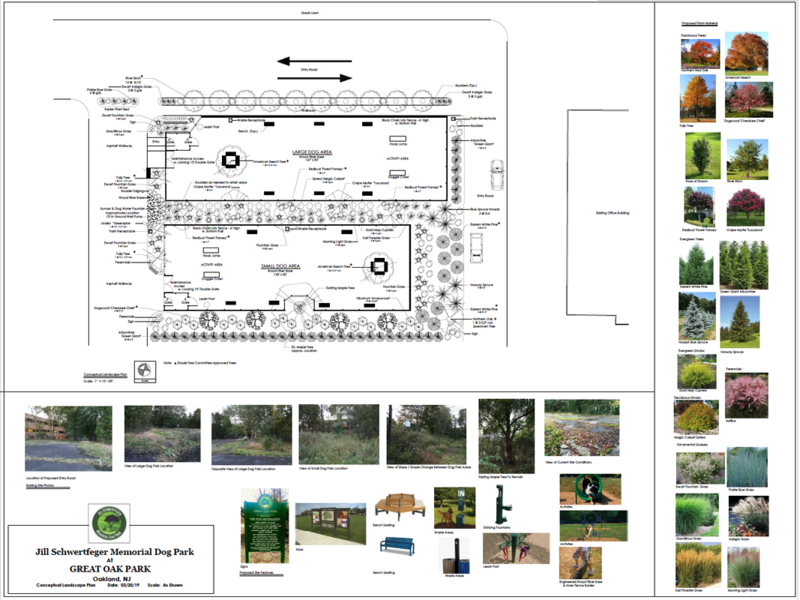 Take a look at our concept plan and reach out to Oakland officials voicing your support for the dog park! Your verbal and monetary support are both needed! Come to our monthly meetings at the Oakland Municipal Building Conference Room - the third Wednesday of every month at 6:30pm. Check our Facebook page to learn more and for any immediate information if meeting location changes or if meeting is cancelled. Show your support with a magnet - safe to put on your car! Buy a rectangular or circular magnet at J-B Pet Supplies - Oakland or Pet Supplies Plus - Oakland, NJ for $5 each. ALL proceeds are going straight to the dog park efforts. If you live outside the area and would like a magnet, contact me and we'll send it your way! As of June 29, 2018 - Total is a combination of cash and check donations and from charitable discounts and pledged work that would be done in the construction phase of the dog park project.